Hi, I’m currently looking for an MP3 to OGG converter to convert some of my MP3 files into OGG for editing. I tried using FFmpeg but it is so confusing to use, I have given up on it. Any idea how I can quickly convert MP3 to OGG? When noticing such inquiry, you might be confused at the difference between MP3 and OGG. First of all, MP3 and OGG Vorbis are two of the most commonly used compressed audio file types. To understand which file format is best for you, you should first familiarize yourself with these two popular audio file types. MP3 or MPEG Audio Layer III, is the most common lossy format audio file type in use today. MP3 files are about one tenth the size of the original file and as a result, they load quickly and take up very little disk space. While MP3 doesn't have the best sound quality when compared to other formats, it's definitely the most well-supported, making it an excellent choice for your audio files. OGG Vorbis is a free and open source alternative to MP3. Similar to MP3, OGG is a compressed digital audio format. One of its main advantages is that it isn't restricted by patents, but despite this, it remains a much less popular file format than MP3. This means that it is not widely supported and fewer media players are compatible with it. Although MP3 is the clear winner, some users still prefer OGG format. And luckily, converting MP3 audio files to OGG is an easy task with the right converter. In this article we'll show you 3 effective ways for converting MP3 to OGG on Windows/Mac. To effectively convert MP3 to OGG format, you will need a powerful and professional converter software. We advise that you avoid online mp3 to ogg converters unless you want a system full of viruses and malware. Instead, use Wondershare UniConverter (originally Wondershare Video Converter Ultimate). In addition to converting MP3 to OGG, Wondershare Video Converter will convert MP3 to 1000+ other audio file formats for Apple devices, portable media players, Zune, Android, video game consoles and many others. Launch Wondershare UniConverter (originally Wondershare Video Converter Ultimate) and add your MP3 file by clicking . You can alternatively drag files directly onto the interface from your storage device. Feel free to add multiple files at a time. At the Convert all files to tab, you have the option of choosing from over 1000+ audio and video formats and an extensive list of devices. Choose OGG as the output format. If you want to further customize your conversion profile, you can access advanced settings by clicking on the + Create Custom button. When you are satisfied with your conversion settings, click on the Convert All button on the bottom right to start the conversion processes. Converting MP3 to OGG has never been easier, whether a Windows or Mac user, anyone can master MP3 conversion as long as you follow these three simple steps. 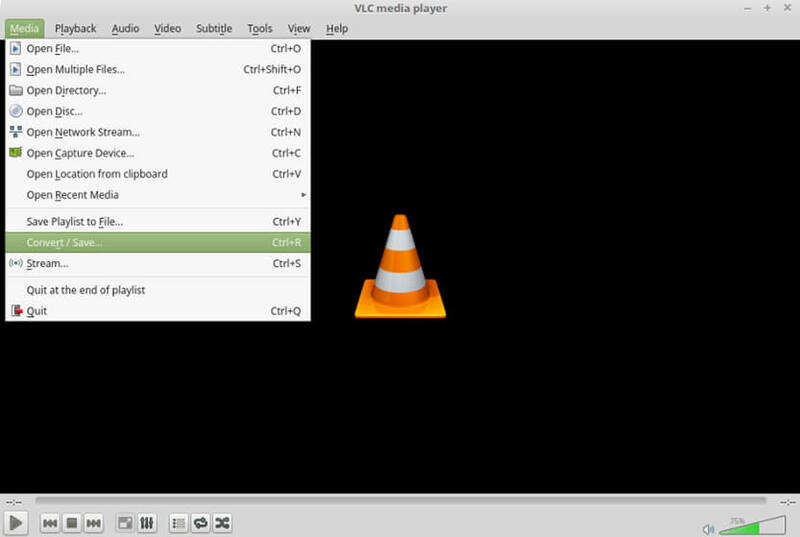 VLC is an all-purpose media player that handles MP3 audio files well. Its enhanced playback capabilities make it compatible with many other audio and video formats. This free software also allows users to convert, stream and play most types of multimedia files. To convert MP3 to OGG Vorbis using VLC follow these 3 easy steps. Step 1: Launch VLC and navigate to Media > Convert/Save. Step 2: Add your MP3 file and then click on the Convert/Save button. Step 3: A pop up window will appear giving you option of choosing an output format and destination folder of the converted file. Choose Audio-Vorbis (OGG), enter a filename and select your destination folder and then click Start to begin the conversion process. FFmpeg is a powerful and flexible open source command line tool for converting, streaming and recording audio and video. It supports almost every digital formats and codecs available today, and is available on most operating systems and platforms. While its lack of a graphical interface makes it intimidating to most people, this doesn't necessarily mean it is difficult to use. With a little effort, you can become very productive with FFmpeg in a short space of time. To quickly and efficiently convert audio files using FFmpeg, use the following guideline. First, make sure you have FFmpeg installed in your system. Now launch the terminal and navigate to the folder that contains the files you want converted. You can alternatively use the file manager to open the relevant folder and then right click on empty space and select Open a terminal here. Substitute in the filenames and click Enter to start the conversion process. You can replace the extensions (.wav .flac .wma etc. )to convert to different audio and video format types. You can also change some settings, the simplest of which would be bitrate. Bitrate determines the output quality of your audio file. For MP3's, 128 kbps is good quality, 160 kbps is better and 192 kbps or more is very high quality. This is only a very basic introduction to FFmpeg's functionality, but it does show you how to quickly convert media files using simple commands. 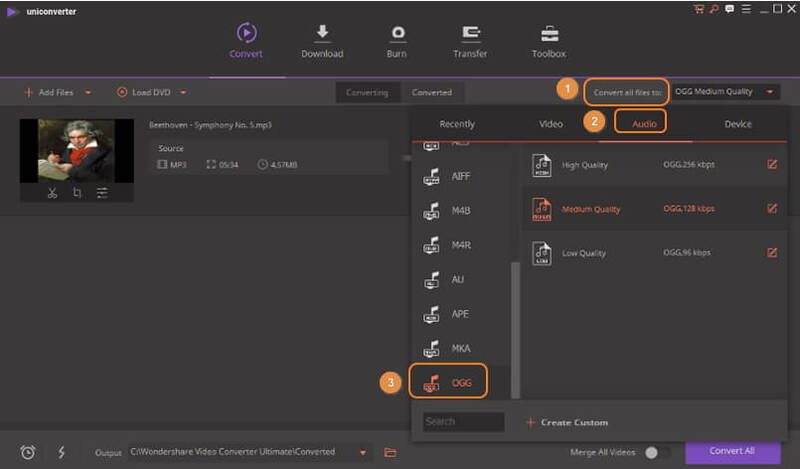 If you need more flexibility in your conversion, we recommend using Wondershare UniConverter (originally Wondershare Video Converter Ultimate).